All cultures change over the years, particularly in Africa in which traditional life is continuously threatened by “modernisation”. Regardless of this, within the province of KwaZulu-Natal commonly known as Zululand, a lot of cultural traditions and values remain fairly intact and you will find spots of great historical and cultural significance ready to be explored. Located north of the Dolphin Coast, within a malaria-free zone, Zululand stretches as much as Richard’s Bay across the northern coast of KwaZulu Natal and towards the rural center of KwaZulu Natal, stretching to the north of Pongola, and across the small towns of Ulundi and Vryheid which are located around the border of the Battlefields Route. Zululand lies under the burning heat of the subtropical sun and it showcases tranquil, green hillsides, grasslands waving in wind, rich woodlands, relaxing lifestyle, and also a soil ingrained with the power of the Zulu nation who fought for their country. This area is truly rich in significance and traditions, and up until now the age-old Zulu culture still remains. Visitors can go to the heart of Zulu villages such as Dumazulu and Shakaland to visit the sangoma, see a rural marriage ceremony and also experience Zulu Hospitality at its best. Experiencing traditional culture could sometimes be difficult at first. But then, a good way to manage this is to go to many of the several cultural villages, or what people often name as the “living museums”. In places like Shakaland, Simunye or Dumazulu, you can actually experience a peek of their way of life as well as practices which are slowly evolving. 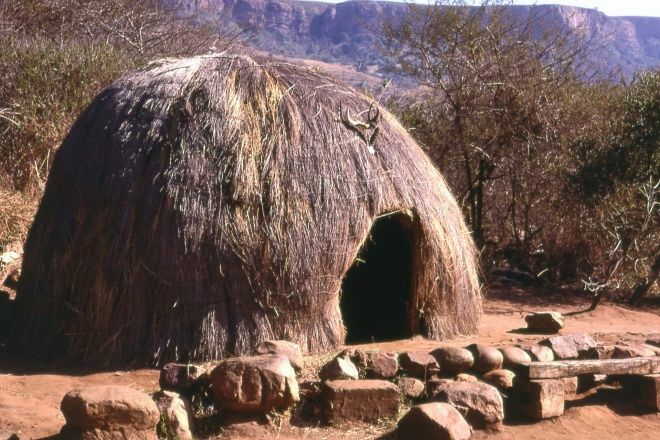 On this site you could sleep inside a traditional Zulu homestead, taste their traditional Zulu cuisine and drink Nqombothi (real Zulu beer), and go to a tribal healer who will take you on an herb walk to discuss about a number of interesting traditional herbal plants that are still employed by many rural South African’s inhabitants. Zululand is also the place to find tea plantations, livestock farming as well as fairly little inland towns which is abundant in wildlife. Although most of the trip to Zululand is related to discovering South Africa’s rich history and cultural traditions, you can also find a lot of beautiful, odd little villages. Eshowe includes a canopy boardwalk throughout the Dlinza Forest and also the outstanding artwork center at Fort Nonqayi. From the small coastal area of Mtunzini, you can roam around the last surviving protected terrain of Raffia palms and perhaps see a unique palm nut vulture. Zululand is the best place to take on for a safari because it is where you can find a few of the country’s best game reserves, like Hluhluwe-Imfolozi, Ithala, Thula Thula, Opathe, Thanda as well as the Zululand Rhino Reserve. Herds of flatlands game grazing beneath the acacias as well as antelope skittering all over the dirty pan, hippo honking on the streams and pans, giraffe silhouetted around the sundown plus the scent of the African bush in early hours of the morning are usually what you would expect to experience during your trip to Zululand. The Zululand Bird watching Route, with more than 650 varieties of birds, also provides an amazing variety of bird species with more than 30 native guides as well as a compilation of helpful brochures and information packs relating the top 70 bird watching spots in the region upon 14 local routes. Dlinza, by far the most stunning woodlands of Zululand, sits in the Dlinza Nature Reserve near Eshowe, just one of the best sites to see birds, walk and discover wild fig and African plum trees. Our mission is always to give you the chance to experience Zululand on the best possible way. Zululand Tours is a small company and we are proud of always placing your needs and wants first. You could rely on our personal service as well as a strong dedication and we aren't delighted till you are satisfied!